Shintarou Asanuma is a dramatist, producer, actor, voice actor, copywriter, and designer from Iwate, Japan. 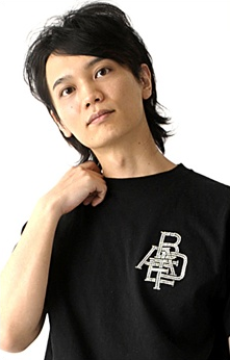 He was formerly affiliated with Office Osawa and is now part of Dandelion and is best known for his voice-over role of Yoshiyuki Sakurai in D.C. II: Da Capo II, and Kyo Sogoru in Zegapain. Another well known voice-over role is that of Daisuke Kusuriya in Mushi-Uta.